A new toy to play with. It's a tiny pocket handkerchief of a camera from the '60s. have you rolled off a film yet? would love to see how the photos come out. this is one camera that deserves a skite. speaking of which i just realised i used the word "skite" in my last blog without even thinking it was kiwi speak! What a cute little camera! I can't wait to see what kind of pictures it produces! I've been wanting a little camera like that. Love it! 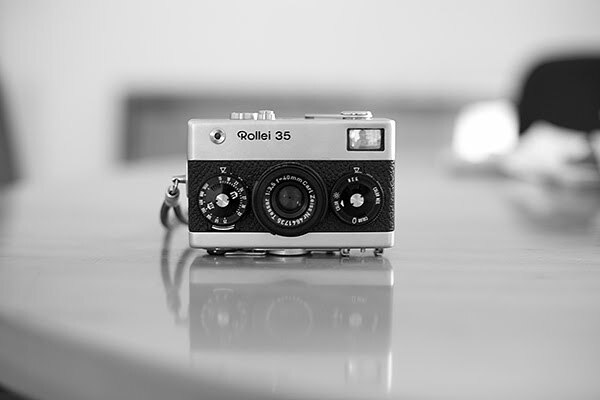 Such a pretty little camera. Btw, what does skite mean? It is a lovely object. oh wow, this camera is so beautiful! what sort of film does it take? it must be so fun to walk around with that! how cute! i've never seen this model before.